Lazy Daisy is perfect to create petals or leaves as well as texture. Step 1. 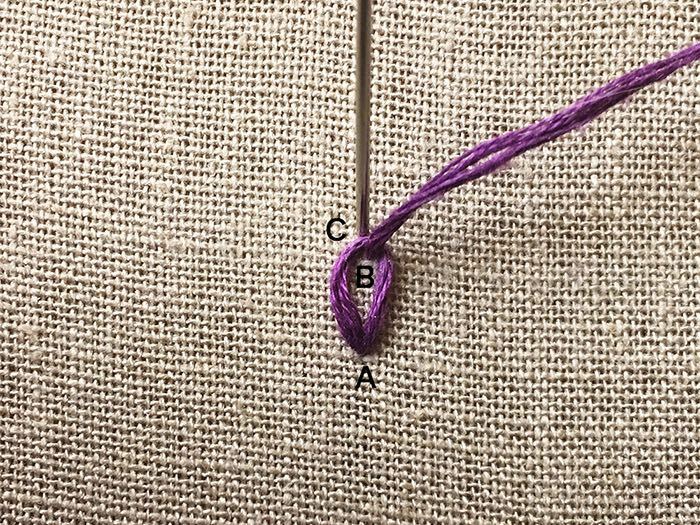 Come up at A, then insert the needle back at A and come up at B. 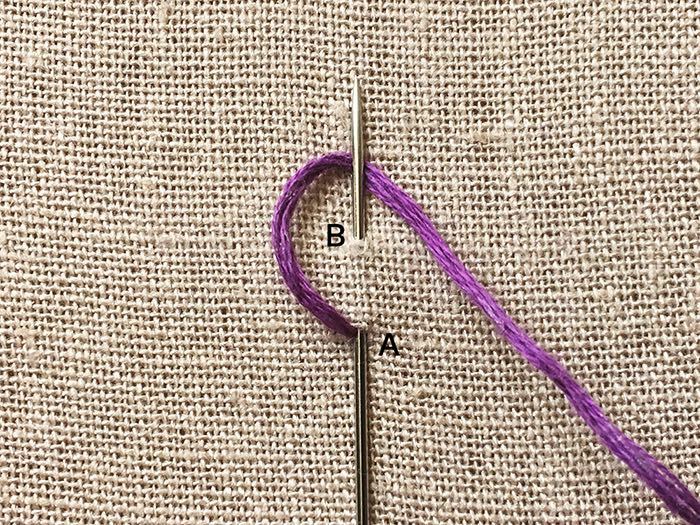 Create a loop under the needle as shown in the picture above and pull the needle through. Step 2. Insert needle directly above B, at C. Pull tight.